Soka University weddings are beautiful. 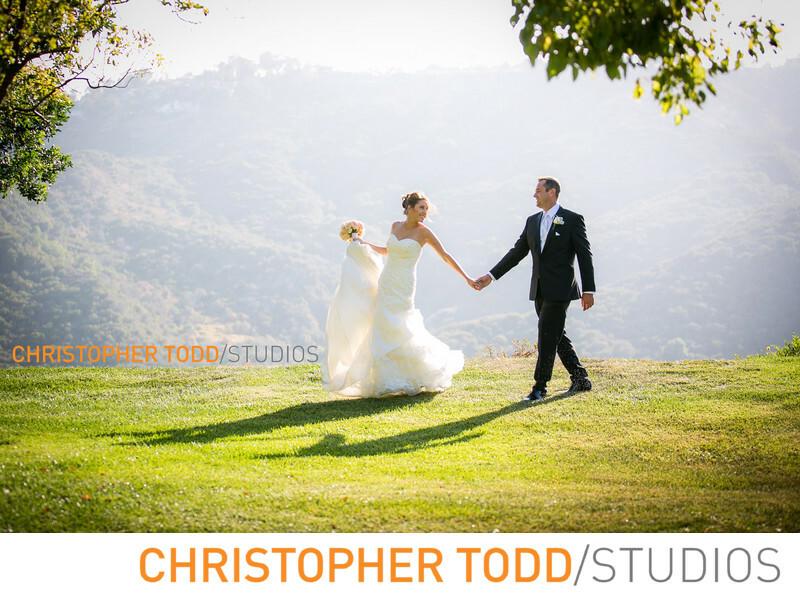 If you are looking for a stunning venue in Orange County be sure to check out Soka University. Located in Aliso Viejo near Laguna Niguel just off the 5 freeway. 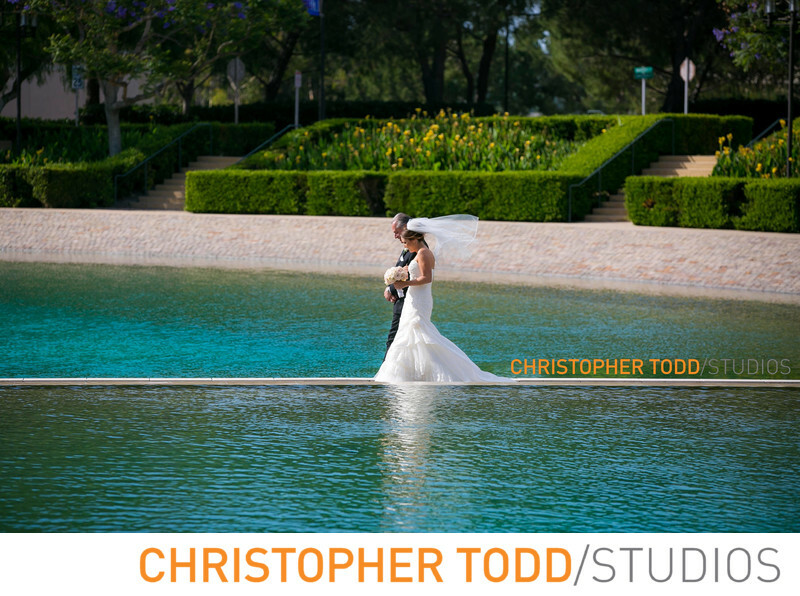 Soka's Peace Lake The Bride will typically walk down the infinity aisle into her wedding ceremony, setting up a stunning photo. Ceremonies Held outside Founders Hall at Peace Fountain. Located in front of Peace Lake. Cocktail Hour at Peace Fountain is a perfect start to any special occasion. Wedding photos just look classy with Founders Hall in the background. The classical architecture is gorgeous and reminiscent of an East Coast or European city. The Gazebo can be used for small, intimate weddings and special occasions. First looks I like taking the bride and groom here for a special first look before the ceremony. It is perfect since it's away from guests arriving early to the ceremony. You don't have to worry about them seeing you. The Garden is the best spot for a wedding reception at Soka. A spectacular 180-degree view of the canyon is also a beautiful location for an afternoon lunch or summer evening reception. Every couple planning a wedding feels overwhelmed. As your local wedding photographer I am an often overlooked resource for couples planning their wedding celebration. 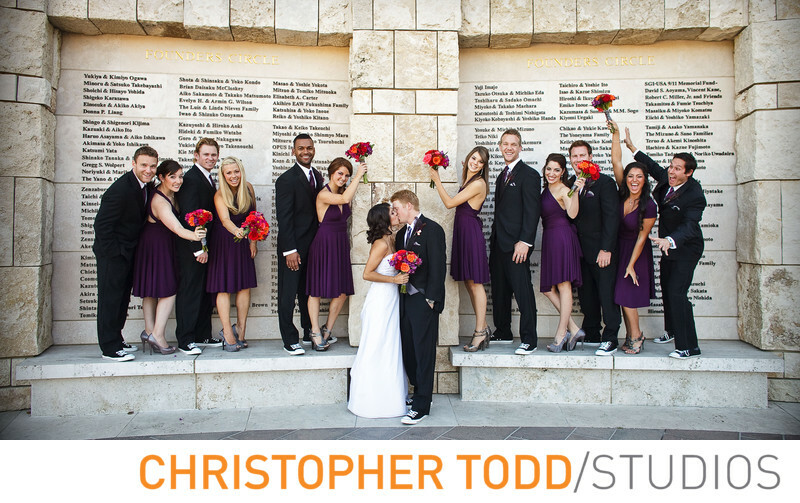 I have years of experience working at wedding venues in Los Angeles and Orange County. Often times as a nuptials photographer I get to see the reality behind the scenes while working at venues, churches and with wedding professionals. So what's next? Ask away. Don't be shy!